Formula At Night: Will Babies Sleep Longer If They Get Formula At Night? Home Articles Will Babies Sleep Longer If They Get Formula At Night? It’s been said that feeding your newborn a little formula at night can help keep a baby’s belly full and sound asleep. Since newborns are meant to wake up many times throughout the night, new moms are eager to catch up on their lost sleep. But an old wive’s tale has been circling the internet concerning formula and it’s ability to keep a baby asleep longer. So if you feed your newborn formula just before bedtime, will it ensure a restful sleep for you and baby? Let’s just say there’s some advice we carry down from generation to generation… But this should not be one of them. 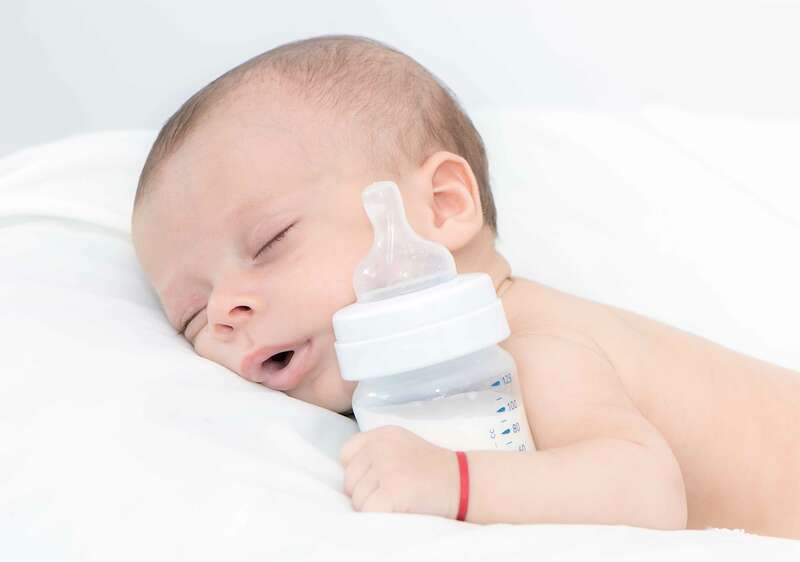 Feeding a newborn a heavy bottle of formula to keep them full and happy at night might seem like a good idea, but it could actually make your child wake up more. Here are the top 4 reasons why formula before bed won’t promote better sleep. Sometimes the heavy consistency of formula can upset an infant’s stomach and cause them to stay awake. Infant formula is more difficult to digest than breast milk, that’s why a formula-fed baby can last longer between feedings. But that does not mean your child will restfully sleep for longer. It can actually disrupt a baby’s ability to stay asleep because her body is busy processing the formula, and the lack of comfortability (i.e. tummy aches, digestion cramps, etc.) might keep her from sleeping soundly. This is especially true when your child mostly gets breastmilk and the evening bottle of formula. A baby on 100% formula can adapt to the formula and the stomach issues may subside. However, a baby who is primarily fed breastmilk and given occasional formula may have a lot more digestive issues with the formula. For some breastfeeding moms, when they cut down on the number of breastfeeding sessions, their milk production, and supply may decrease. The decrease in breast stimulation can signal the brain to slow down on milk production, which can be a very difficult process to reverse. If you start opting for a bottle of formula instead of routine breastfeedings, your body may decrease its milk production sooner than probably intended. Check out our article on how to increase breastmilk supply. Some women are natural overproducers, so this doesn’t apply to all moms. Prolactin, a specific hormone in a mother’s body that is dedicated to producing milk is actually highest at night! In one study conducted by the Oxford Journal, there was a significant rise in a mother’s prolactin levels at night compared to daytime (1). Utilize this gift and keep breastfeeding your baby, especially during these peak hours of production. Your breasts and baby will thank you! Although feeding your baby formula at night sounds like it can promote better sleep, this old wive’s tale has actually never been proven. Various blogs and forums discuss this topic, but there have not been any studies that show this to be true. Aim to find evidence-based studies versus individual opinions. Needless to say, feeding your baby formula at night to promote better sleep still lacks sufficient evidence and supportive claims. It is advisable that you continue breastfeeding even in the wee hours of the morning. Stick with it and you’ll be thankful you did! Many moms suggest feeding their babies formula at night to promote longer stretches of sleep. Find out the facts and what you can do instead! 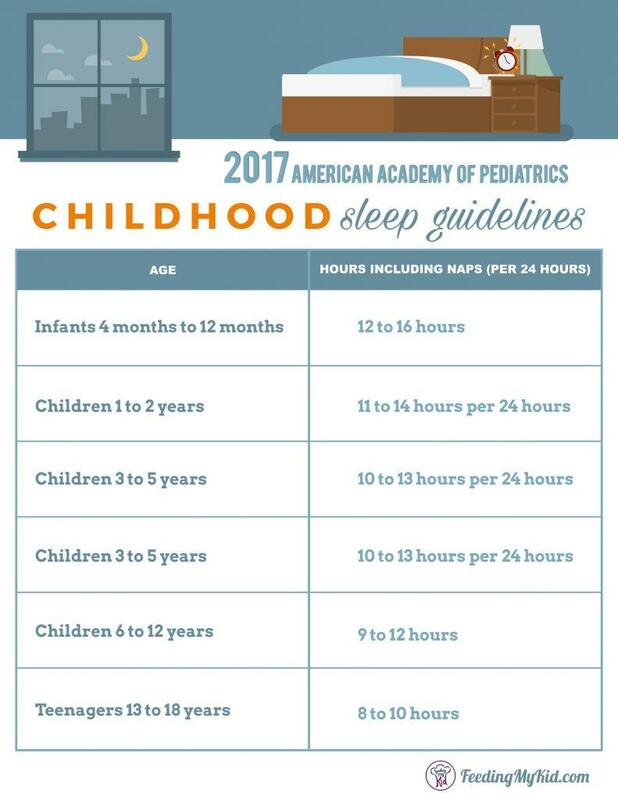 Previous articleHow Much Sleep Do Children Really Need? Are Your Kids Getting Enough? Next articleIs Cauliflower the Ultimate Brain Food? Facts, Tips & Recipes!